This sounds obvious – don’t give feedback before you actually listen to the song, right? But time and time again, vague comments and messages pop up that say something along the lines of, “Cool track! [insert emoji].” Did they actually listen to your music? Well, there’s no way of telling for sure. But if you think the track is fire, provide a little bit of proof. Tell them something you liked about it. For example, “Fire track! The vocal effects are beautiful. Keep up the good work!” Just that extra little bit of effort goes a lot further than an empty compliment. One of the easiest ways to prove you’re not sincere in providing feedback is an immediate request to have the favor returned. I can’t tell you how many comments I’ve gotten on my various channels that drop a small, vague compliment followed by, “Check out my music and follow me!” If your objective is clearly just to steer the attention back to you, it looks bad and can even result in you getting blocked for spam. However, if you’ve provided some thoughtful feedback and really want to create a connection with the artist, there are ways to do it sincerely. For example, if your music sounds similar, that’s a great point to make in your comment. You might say something like, “Great sound. The songwriting reminds me of Frank Ocean – I love the lush R&B production. Our sound is really similar. If you get a chance to check us out, we’d love to know what you think and potentially collaborate in the future.” A comment like this proves that you actually listened and that you have mutual interests. If you’re leaving a comment for an artist you don’t know, be careful not to give an unsolicited critique. When in doubt, keep it positive. On the other hand, if you’re giving feedback online to an artist you already know and trust, use the sandwich formula: start with positive feedback, then provide constructive criticism, and then end with more positive feedback. Before hitting send on that comment, ask yourself: How would I react if this was left on my page? Would it make me feel proud of my work, or would it make me feel insecure? Would I suspect that it’s spam? Part of providing solid feedback is being sympathetic. Making music is a vulnerable experience, so don’t exploit that. A bot might be able to comment on 1,000 songs in the time it takes you to comment on one, but if all of those comments are “SICK MUSIC I HAVE GREAT BEATS FOLLOW ME NOW,” do you really think that’s doing anything to help you? Taking the time to give thoughtful feedback that invites a back-and-forth conversation is one of the most powerful tools in networking. It’s important to determine when it’s best to stick with a brief comment and when you can get more wordy. For example, if you’re commenting on a video clip on Instagram, just a few words will do. But if an artist you know emails you directly asking for feedback on a demo, you might want to offer a couple of paragraphs, or you could risk coming off as cold. Throughout your music career, you’re going to encounter countless situations where you’re asked for your opinion on a song. 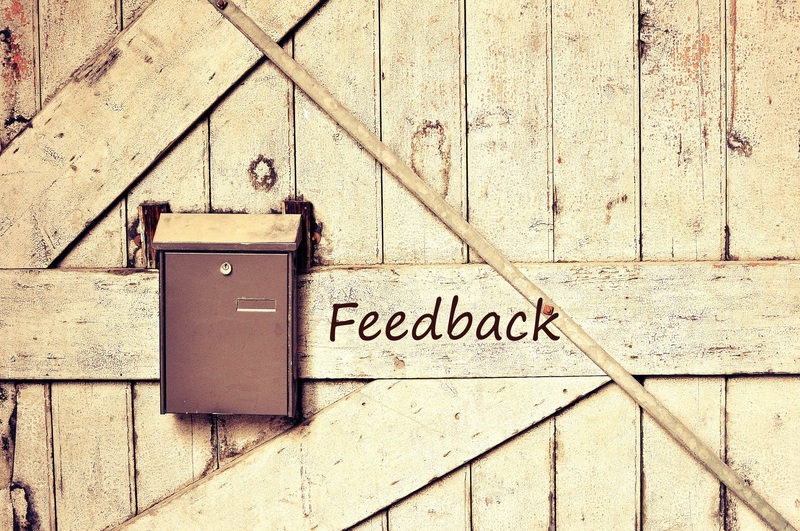 Take the time to think about how your feedback will help them, and how it will be perceived. Be constructive, sympathetic, and most importantly, don’t come off like a spambot. Excellent thoughtful and informative column. Thank you. By the way have you checked out my… oh right, not supposed to do that. See, I did read it after all! Reall, I did like your column thank you.